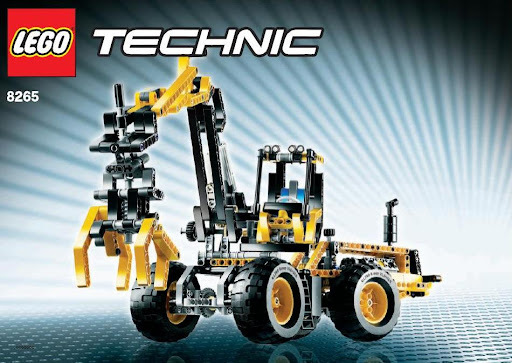 B-Model instructions for the 2H2009 TECHNIC sets, were made available online. 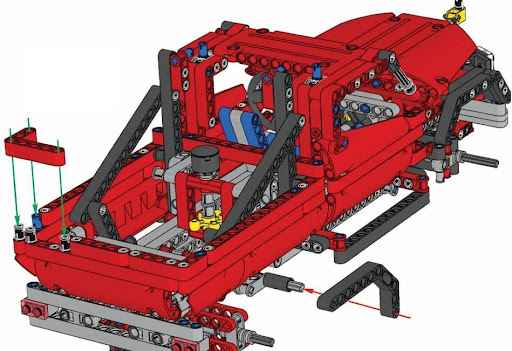 You may download them at the TECHNIC Downloads webpage for B-Models. 8258 Crane Truck, B-Model features a 'Duty Wrecker' and building instructions are divided into 8 files (2 sets of 4, for each main part) which you may download directly, from the links below. New gear racks here are 13L, but only one is used in the B-Model, so we can't yet be sure about the existence of another rack length. New panels are numbered 3 to 6 and 17 and 18. Set includes a lot of 16t clutch gears (10-12). 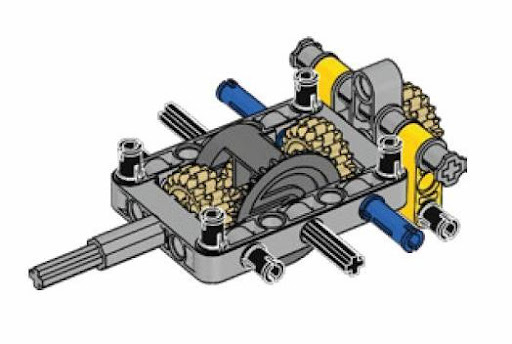 The double function going through the turntable is created by two 16t clutch gears linked by a driving ring. The set has 3 driving rings. A minimum of 3 new H-shaped and 5 rectangular frames, are used in this set. 8265 Front Loader, B-Model features a 'Forest Machine' or logger and respective building instructions are divided into 4 files which you may download directly, from the links below. Several dark bluish gray T-beams. New 'axle and pin connector perpendicular, 3L' in light bluish gray. A minimum of 2 new rectangular frames for this set. Uses two differentials (last smaller version). 8263 Snow Groomer, B-Model features an 'Arctic Tracker' whose respective building instructions are divided into 2 files which you may download directly, from the links below. At least one light bluish gray T-beams in this set. Several new 'axle and pin connector perpendicular, 3L' in light bluish gray. A minimum of 4 new H-shaped frames, used in this set. 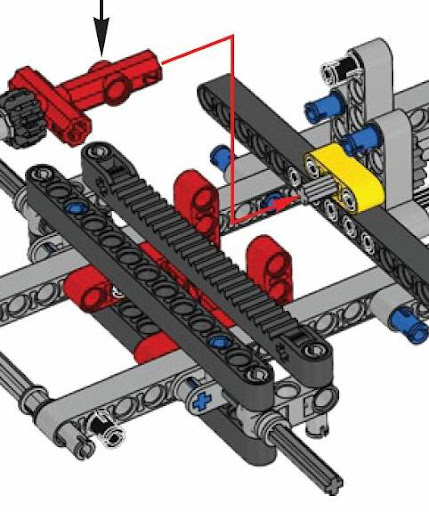 Black new treads, arrived into TECHNIC sets too. New panels are numbered 1 to 4 and look great as useful. They appear in red and black. 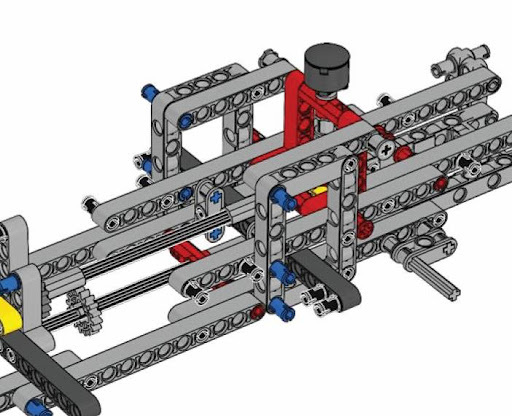 For the first time we can see the new gear rack design in detail, its connections type and possibilities offered. 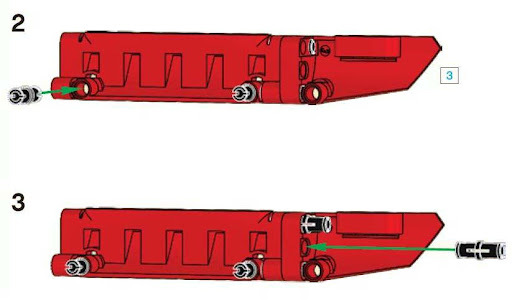 Still to confirm if the remaining gear racks in 8258 are all 13L, or if there are in different lengths too. The new panels which came to complement those from the new generation, started to be introduced already in 2008  and continued 2009 , are really handy and offer very useful new possibilities for most fairing needs. The frame on the left will be extremely useful for a suspension system I use. I loved the panels and gear rack too! 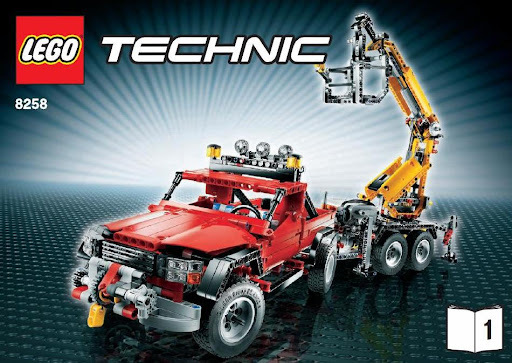 I say we're having a very rich Technic session this year. 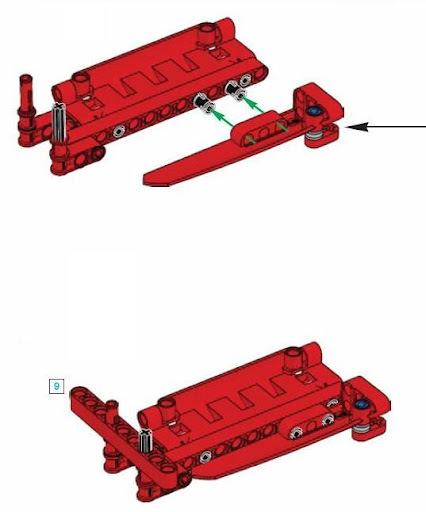 I hope I can catch some of those parts on Bricklink soon. Cant download instructions, odd... The new rack looks cool, but ccant be stacked like studded ones into a long one. The new racks are intended as an improvement for old ones like this 6592, which were not stackable too. Can anybody confirm tractor with trailer for this year?Will be tractor next year, it is FAKE or it has been stoped in the development? yep 8265 has 2 differentials! 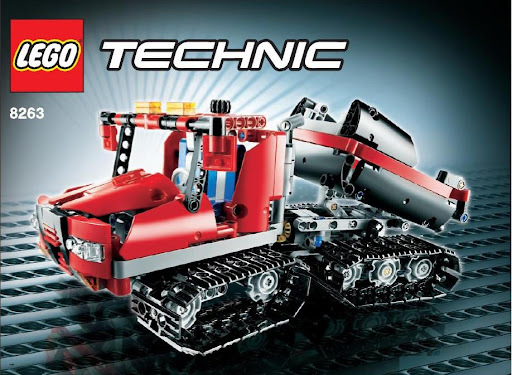 It seems that the 8063 model is kept in the dark for us. Maybe it's going to be a S@H exclusive or an christmas-special. It all keeps us hoping and looking out for it on the web!!!! You are so right! Last year the buildinginstruction of the 8297 a-model kept me happy all summer! 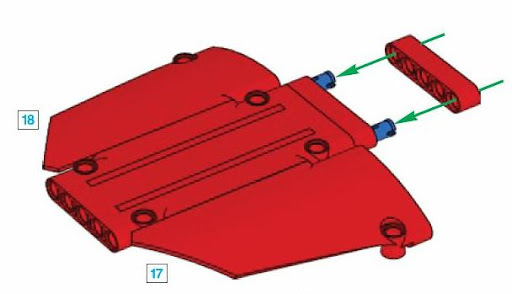 useful for me because all the stuff i build needs a 15 stud long liftarm for steering.